congresses in the heart of Bergen. 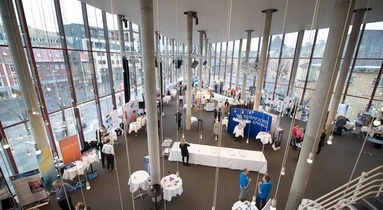 Grieghallen is the annual host for major conferences, such as the Underwater Technology Conference (UTC) and the Nordic Media Festival, in addition to a number of conferences both large and small, national and international. 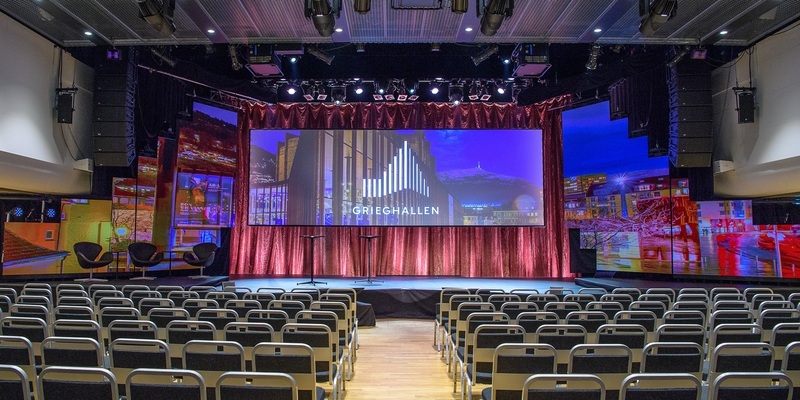 Grieghallen's central location in Bergen and parking under Edvard Griegs Plass makes it easy for all attendees to get to your event. 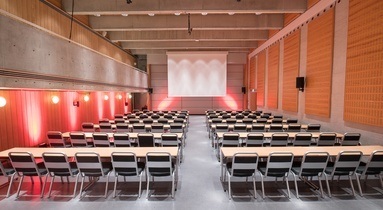 With 25,000 m2 of total space divided between 20 rooms and auditoriums, Grieghallen can offer the right setting whether you are planning a small seminar or large conference in Bergen city centre. 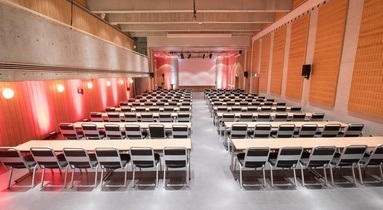 Grieghallen is the perfect conference venue for any event ranging from 100 to 2,200 participants. Our modern conference halls and meeting rooms are equipped with the latest technological innovations. The Peer Gynt Hall is the biggest hall in the conference centre and has seating space for 700 people. 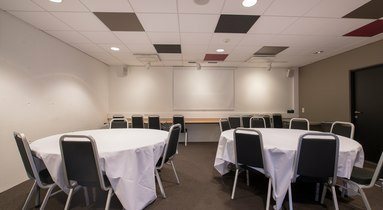 It is a very adaptable venue, well suited for conferences and other major events. 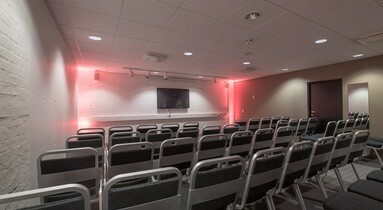 The Grieg Concert Hall can accommodate up to 1,638 people, with space for an additional 600 if the stage is utilised. 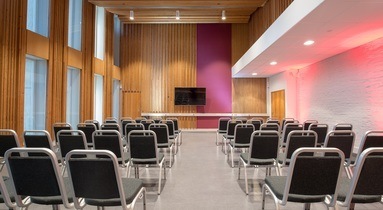 The large foyers connected to the Grieg Concert Hall and the Peer Gynt Hall provide good mingling and catering areas, as well as exhibition spaces for participants and organisers. 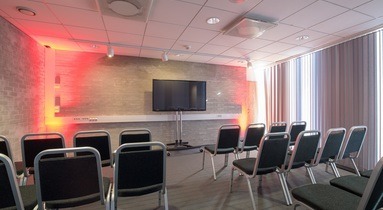 Grieghallen also has smaller rooms that are well suited as venues for courses, meetings and parallel sessions. 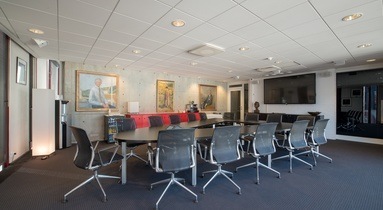 The elegant lounges, Nina and Edvard, are fitting for board meetings, general assemblies, banquets, events or simply as meeting or break rooms. Here, delectable dinners are served in the most stylish surroundings. 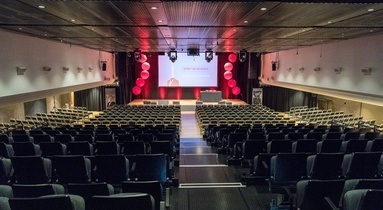 The opportunity to combine conferences with culture and entertainment is one of Grieghallen’s unique characteristics. 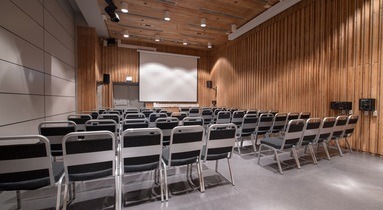 As Norway’s leading cultural centre, everything is in place for combining conferences in Bergen with cultural activities such as concerts or shows. 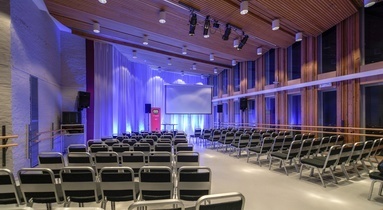 Grieghallen has a reputation as a distinguished concert venue for all types of music, and has good contacts with both national and international cultural promoters. Cultural performances can provide an extra dimension to your event and make it into a unique experience. 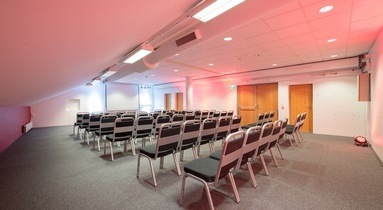 When you choose Grieghallen as your venue, you can be assured of receiving service at all stages. We provide a knowledgeable project leader who follows the whole process from A to Z. The project manager helps with ensuring that everything practical is in place and that all technical needs are met. 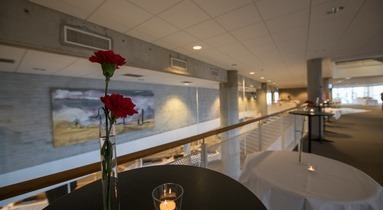 In addition, Grieghallen has for many years offered food and beverages of the highest quality for all types of events, and can provide everything from simple baguettes to exciting gourmet meals.